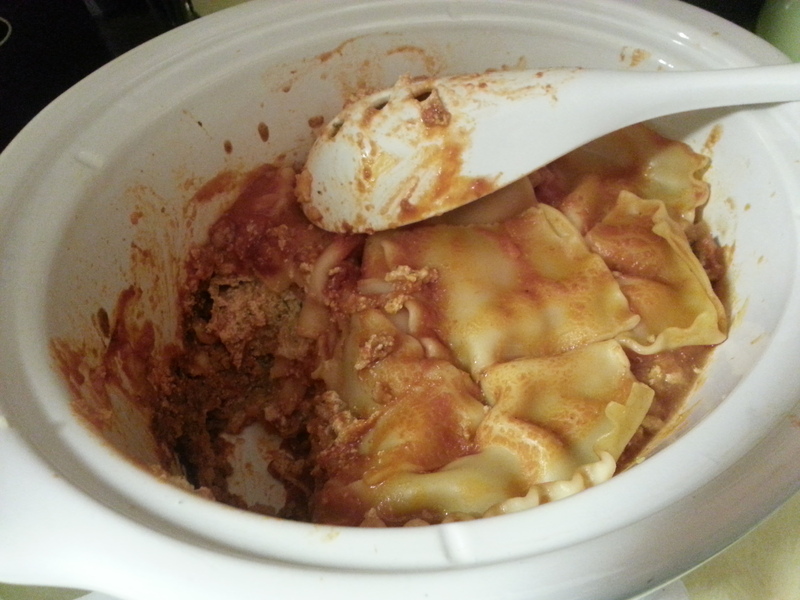 This is the second time I’ve made crockpot lasagna. It’s amazing – and you’d never know it was done in the crock! I just went through my cooking blog and realized that somehow I FORGOT TO BLOG ABOUT THE FIRST TIME I MADE IT. I don’t have any pictures of it, either. It was a simple recipe that I will re-post later (I don’t have it with me), and was AMAZING. It is great to freeze, too. 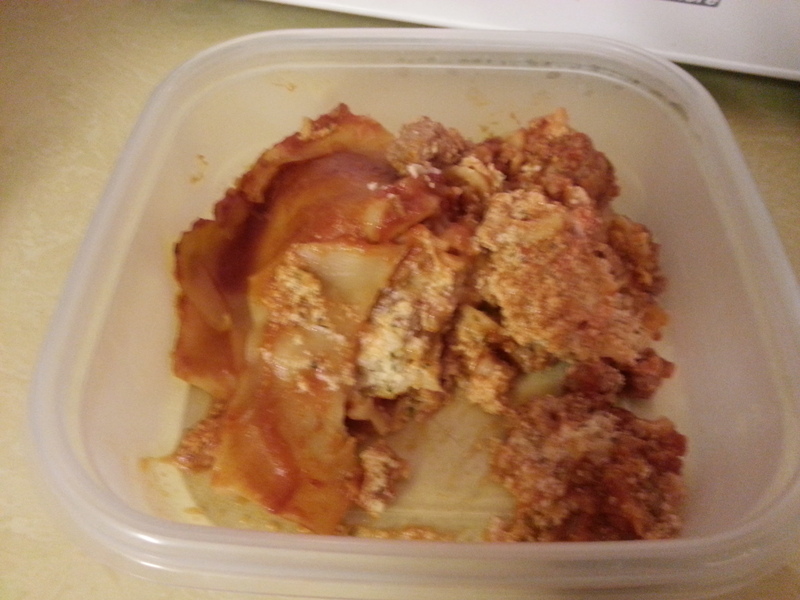 I froze it in 3 large tupperware containers for dinners to have on-hand. I made it again on Sunday night, using The Girl Who Ate Everything’s recipe (you know, trying to go through my incredibly thick binder of recipes…). I was hoping to be able to say which was better, but they’re both pretty much the same: delicious. Then again, how can lasagna not be delicious? This time around, I froze one tupperware for a dinner at some point for Kevin and I, and then portioned out 4 smaller tupperwares for lunches this week.